Only accessible by boat, Hotel Royal Huahine features a private beach, outdoor pool, restaurant and bar. Some bungalows are situated over the water with a spacious sundeck and direct lagoon access. Each bungalow at Hotel Royal Huahine has views of the gardens, beach, lagoon or nearby islands. All feature air conditioning, ceiling fans, minibar and TV. Some also include a bathtub. 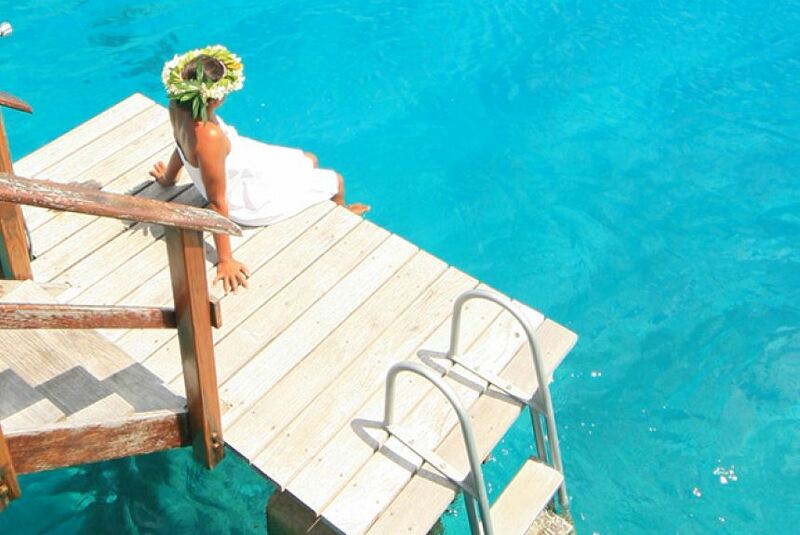 All overwater bungalows face west for wonderful views of Rai’atea, the Taha'a islands and spectacular sunsets. Guests receive free boat transfers to and from Fare village. Free activities include snorkelling, kayaking, canoeing, table tennis, beach volleyball and local cultural activities. Located over the water with views of the lagoon, the resort’s main building features a restaurant, bar, guest lounge and boutique. Ari'i Restaurant combines French, Polynesian and international cuisine, using fresh fish and local fruits and vegetables.